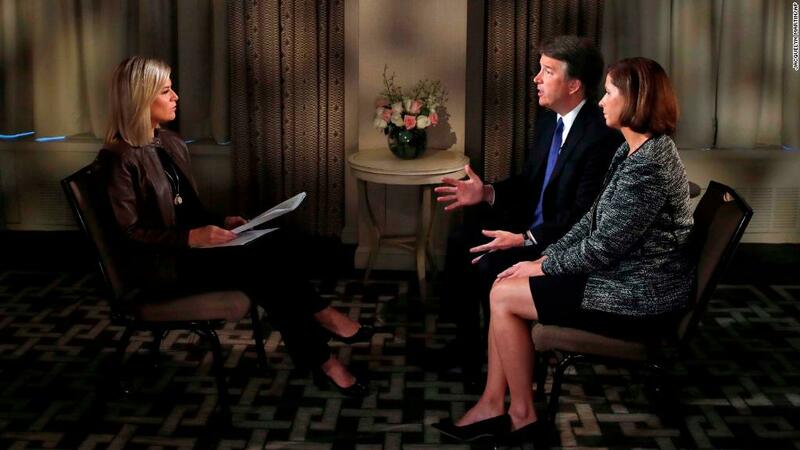 Everywhere I go, I'm being asked about the Brett Kavanaugh nomination battle. All indications are that this story has captured the public's attention -- at least a sizable chunk of the public -- and no one knows how it will end. This is about power, it's about gender, it's about politics, it's about memory, it's about truth. This is why Thursday is shaping up to be a "where were you when?" day. >> As Jim Acosta said on "CNN Tonight" Tuesday night, "the U.N. this week is a sideshow to the you-know-what show back in Washington..."
Per CNN's Sunlen Serfaty, "there will be three cameras allowed" in the hearing room on Thursday. "One camera focused on the witness, one camera focused on the questioner, and one cuts camera." Senator Lisa Murkowski, given her status as a key swing vote, had the quote of the day, via an interview with the NYT: "We are now in a place where it's not about whether or not Judge Kavanaugh is qualified. It is about whether or not a woman who has been a victim at some point in her life is to be believed." Brian Lowry emails: We'll never know, but I've spent the past week thinking about what Jeet Heer tweeted about Kavanaugh -- basically, if he had said "I drank a lot in high school and college, and I have no memory of the incidents that have been reported, but if anyone was hurt by my behavior, I sincerely apologize," wouldn't that have played considerably better than insisting -- as some of his defenders have -- that those bringing the allegations against him are politically motivated liars? Via NYT's Kevin Roose, the wildest story of the day: "Is a New Russian Meddling Tactic Hiding in Plain Sight?" He says "some cybersecurity experts" believe a website called USAReally "may be a part of a retooled Russian propaganda operation that is experimenting with new tactics ahead of November's midterm elections, and testing the boundaries of what American social media companies will allow..."